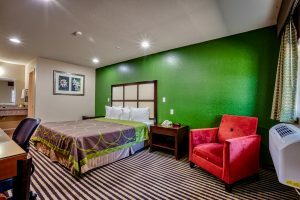 32″ LCD TV’s, free Wi-Fi, micro-fridge, in room coffee, & hairdryers. Pets Accepted. Complimentary Breakfast from 6:30-9:30am. Within a mile of The National Historic Fort. Open 24 hours. 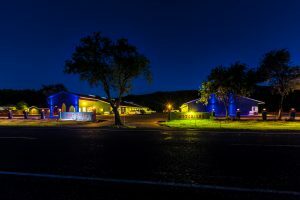 Enjoy full hookups, 30′ x 50′ spaces, cable TV hookups, 20/30/50 amps, picnic tables, grills, showers and restrooms. Daily, weekly and monthly rates.